Alcohol Dependency Research Papers look at the psychological effects of alcohol dependency. When writing a research paper on alcohol dependency, it should attempt to present a brief discussion of the psychological effects of alcohol dependency. Paper Masters recommends looking at the points below and starting from there. We should begin by defining what we mean by dependence. Weil and Rosen state, “Dependence on alcohol is a true addiction, marked by extreme craving for the drug, tolerance, and withdraw.” We will modify this definition a little so as to include people who are not physically addicted to alcohol, but who nevertheless exhibit signs of psychological dependence. That is, the term “withdrawal” need not include physical symptoms, but must include psychological symptoms such as anxiety and confusion. We should note that the study of alcoholism is plagued by lack of professional agreement on the meaning of key terms. With respect to the word “alcoholism” itself, Andrews notes that “there is no single, universally accepted medical or legal definition of ‘alcoholism’.” Many sufferers look for help from The National Institute of Alcoholism. Paper Masters can compose a custom written research paper on alcohol dependency that follows your guidelines. Caroline Knapp, a woman who drank heavily for twenty years, has written a memoir in which she describes her “love affair” with alcohol. She makes some observations concerning one of the most commonly noted aspects of the psychodynamics of excessive drinking. Drinking, she says, activates the brain’s reward system by causing it to release dopamine, a neurotransmitter that has to do with one’s feelings of pleasure. If alcohol is abused over a long period of time, the brain acts to reestablish its base line functioning by decreasing the release of dopamine. When this happens, “A vicious cycle ensues: by drinking too much, you basically diminish your brain’s ability to manufacture feelings of well being and calm on its own.” The source of the satisfactions that one once acquired from a variety of sources now becomes concentrated in one thing, alcohol, and one’s systems of rewards is now entirely dominated by drinking. Knapp here presents us with a theory that is quite plausible on a number of accounts. Knapps Theory of Alcohol Dependency provides us with a biochemical mechanism that explains the subjective feelings of those who are caught in the downward spiral of problem drinking. Knapps Theory of Alcohol Dependency also accounts for the helplessness of many of the people caught in the spiral. Knapp notes that many problem drinkers experience a hangover and resolve to quit drinking, but that this resolution is part of the rational mind, the rational mind that is powerless in the face of something that is “far more mysterious, primitive, and powerful,” a “circuitry of pleasure and need” that recognizes that alcohol is the only thing that will allow the person with the hangover to feel good again. The dopamine release model is something that accounts for the fact that many people who are highly disciplined, intelligent, and strong-willed are utterly helpless in the face of alcohol. They are helpless because they are dependent upon alcohol for a sense of pleasure and well being, things without which life seems barren and cold. Active Substance Abuser research papers can be about a current or recent client who is an active substance abuser or someone who is in early recovery OR on an alcoholic or drug family system, including the impact of the addicted person’s illness on each person in the family. Chronic Alcoholism Research Papers examine this medical condition and it's effects on the body. Substance Abuse and Mental Disorders Research Papers delve into the coexistence of mental illness and substance abuse and their statistics. Drug Use and Abuse Project Research Papers look at a sample of a paper ordered for a research paper with specific guidelines and questions to be answered. Women and Substance Abuse Research Papers illustrate the affects of alcohol and drugs on women. Alcoholic Neuropathy term papers examine how long-term chronic alcohol abuse effects the human body, including alcoholic neuropathy, or damage to the nerves. Chemical and Alcohol Substance Abuse Research Papers look at an example of an order placed for nine essay questions, and you must analyze the key concepts. 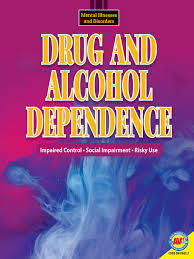 Substance Abuse research papers and essays on substance abuse problems and dependencies. Order a research paper on substance abuse from Paper masters. Paper Masters writes custom research papers on Alcohol Dependency and look at the psychological effects of alcohol dependency.